Peter writes to a beleaguered church under siege for its faith. Up to this point, though difficult, life was much easier, and persecution was localized though sometimes severe. But now suffering greatly increased as the rages of Rome and Nero turned on the church in vengeance, and these believers needed to hear from Peter in what have been entitled “his wilderness epistles." 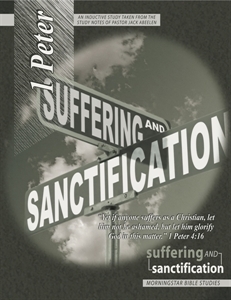 Peter writes of the promise of suffering and the promise of grace to endure.